Hands up who loves a good Sunday session? 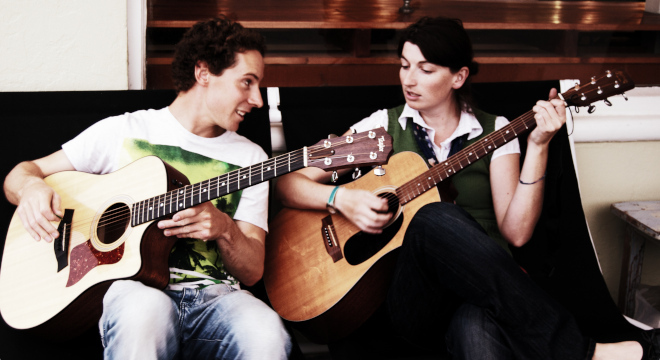 Chilled vibes, sunny days and cruisy tunes and jazzy/pop acoustic duo Minky G and Rosco is all of these things in one! The 2018 WAM Award nominees combine catchy vocals with epic guitar playing with music that has taken them around the world. They’ve jammed with Beyoncé’s band; played at the Queen’s Jubilee Celebrations on the banks of the Thames, performed on Aussie national TV program The Today Show and had one of their tunes played on Triple J. Both Minky and Rosco are trained at the Western Australian Academy of Performing Arts. In 2018 they released their new EP, Distant Shore. “Such a charmer of a tune. Minky's laidback reassuring voice makes everything sound like a delightful experience, even in the pit of despair.” Nkechi Anele on their tune Hometown Blues, Triple J 2018.